Camino reached its 125th anniversary milestone in November of 2015. From its nineteenth century beginnings in Costa Rica, over the past 127+ years the the gospel has been preached, churches have been planted, and leaders have been trained. Today, missionaries are going forth from these churches to places of need all across the world, some of them to the least-reached people groups. God continues to open many doors. Shaped by our Past. Driven by our Future. See the history of Camino in video form, or expand the chronological sections below for a written version of all that God has done through Camino Global since November 14, 1890. The dream of reaching Central America with the gospel began in San José, Costa Rica, with Mrs. Robert Ross and Mrs. Robert Lang, Canadian wives of coffee plantation owners. These women were burdened with the thousands of Spanish-speaking people around them who were living in spiritual darkness. They were moved to pray that God would send laborers into the harvest field in Costa Rica. Meanwhile, back in Dallas, Texas, Dr. C.I. Scofield was dealing with a growing personal conviction of the need to spread the gospel from his U.S. homeland to the uttermost parts of the world. He was haunted by the phrase from Acts 1:8, "and in Samaria." 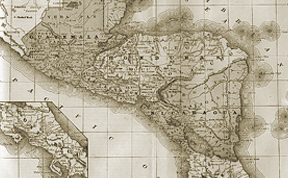 Scofield knew that meant our immediate neighbors south of the U.S. border, particularly Central America, which had long been overlooked as an evangelistic goal. On November 14, 1890, Scofield, with the support of three Christian businessmen friends who closely shared the vision, took a step of faith and officially formed the Central American Mission. 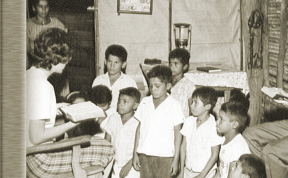 Within one year, the mission deployed its first missionaries to Costa Rica - William and Minnie McConnell, and their children. 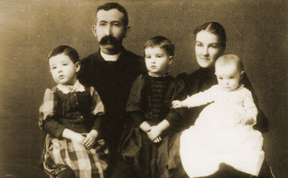 This pioneering family was closely assisted by Mrs. Ross and Mrs. Lang, who helped the McConnells adjust to the culture and language. On May 6, 1896, Mrs. and Mrs. A.E. Bishop and famly set sail for Honduras, even before officially applying to CAM. They were sure of their call. Mrs. Bishop was adversely affected by the climate in Honduras, so the Bishops moved to Guatemala in 1899 to begin CAM's permanent work there. One of their first converts was a Quiche Indian woman who exclaimed, "I have come out of darkness into light. I am the slave of my blessed Lord until the day of my death." 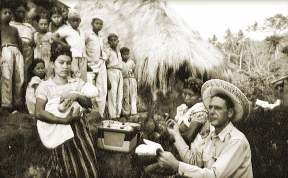 As the work in Costa Rica, Honduras and Guatemala continued to strengthen and grow, El Salvador was established as CAM's news field, led by Robert and Belle Bender. By the end of the first decade, five missionaries who had come eagerly to Central America with hope and love, died from disease or accidents: Clarence Wilbur, Laura Dillon, H.C. Dillon, Samuel Purdie, and William Torrence. Looking at the remaining little band of 17 men and women, spread so thin across mountain and jungle miles, it was still very evident God had them securely in the cradle of His hands. The work in Nicaragua was started by Clarence Wilbur, who died from yellow fever only 16 months after he entered the field. Mr. A.B. De Roos, who initially labored in Costa Rica, relocated to Nicaragua in 1900 to continue the work Wilbur Started. The first church was planted there in 1901. "Wanted: Young people ready to endure hardship, who are looking for adventure in faith and sacrifice such as only missionary pioneering can furnish." Throughout the years, CAM missionaries had moved back and forth across Central America, establishing work in each of the republics. However, they had bypassed Mexico, which was, after all, the nearest "Samaria" to the United States. Following a five-week survey trip through Mexico and weighing the counsel of several evangelical leaders, CAM made the decision to establish Mexico as an official field in 1955. The work in Mexico was initially focused on leadership training and development when the Bible Institute of Puebla opened its doors. Over the years, CAM recognized the critical need for church planting in Mexico, which has been that field's primary focus for much of its history. 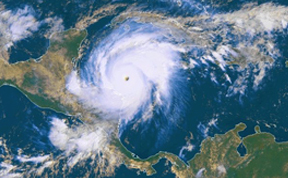 Canadian friends and supporters shared the concern and burden for Central America. To strengthen the longstanding relationship with friends in Canada, CAM's president at that time, Dr. Taylor, and the executive council, worked out a plan to incorporate the Central American Mission of Canada in 1965. The immediate benefit was that donors would receive tax exemptions for their gifts, a financial and administrative service that continues today. Today, a primary focus of activity in Canada is missionary recruitment, adding to the existing Canadian citizens serving as missionaries in other parts of the world. 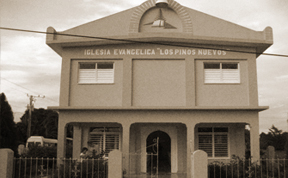 CAM Canada has also worked for years in Cuba with a focus on leadership development and theological training, primarily working with Los Pinos Nuevos, the New Pines Evangelical Convention of Cuba, which is a flourishing denomination with its own seminary. 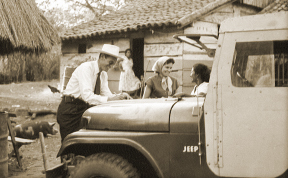 CAM recognized the growing number of Hispanics at their doorsteps, and kept its original purpose of reaching Spanish-speaking people by following them as they immigrated to the Southwest United States. In response, a pilot project commenced and Dallas and Los Angeles became the initial centers for CAM's U.S.-based Hispanic ministry. Everyone assigned to this project had to know the Spanish language, culture, and also have church-planting experience. Above all, they were called to encourage Hispanics to reach their own people. Southwest USA, CAM's New Samaria, was initially focused on the southwest states of California, New Mexico, Texas and Arizona. Later named Hispanic USA, this mission field has since expanded across the U.S., networking with English-speaking churches to plant Hispanic congregations and transform communities. The tremendous need that had brought the Central American Mission into being was even more evident in Spain, a country with only .03 percent claiming to know Christ, and with an ever-increasing Muslim population. When the Spain field was launched, Acts 12:10 was used to illustrate CAM's move into Eurpoe: "They came to the iron gate leading into the city. It opened to them of its own accord, and they went out." In response to the tremendous spiritual need, five CAM families set out for Spain in 1971 to establish the mission's first field beyond the Atlantic Ocean. 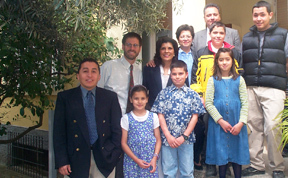 Ministry in Albania officially commenced in 2005 when missionaries Alan and Ann Bryant joined the Cooperación Maya team, a church consortium comprised of four churches located in Honduras, Guatemala, and El Salvador. This unique multi-cultural team approach advanced the mission's vision of mobilizing Latins with a heart for global missions. 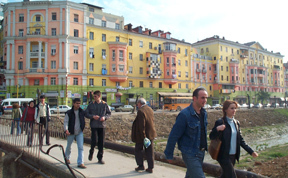 The Albania team's focus is in the capital city of Tirana with the primary goal of church planting. Despite its geographic proximity to Central America, the mission did not have a permanent presence in South America until the 21st Century. There has long been a close association with South American nations, including many CAM missionaries who have engaged in seasonal ministries there, as well as numerous students from South America who have come to Central America to study in CAM seminaries such as SETECA in Guatemala City. But in 2009, history was again made as the mission's first resident team in South America was established in Montevideo, Uruguay. In 2002 and 2003, the mission conducted extensive research of spiritual need in the Spanish-speaking world. 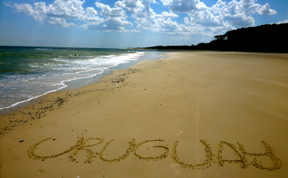 The research revealed Urugay to be the least-evangelized country in Latin America. Uruguay, significantly influenced by postmodern Europe, is also the most secular and atheistic nation in Latin America, with an evangelical population of less than 3%. Jim and Cheryl Eberline, missionary veterans with experience in Honduras and Mexico, formed a team and relocated to Uruguay's capital, Montevideo, in January 2009. Colombia's history of crime and lawlessness has presented many challenges to its residents for more than a generation. Still, in the midst of chaos, the church continues to grow, and opportunities for ministry are trremendous in the 21st century. A new Camino team is being built to come alongside Jose and Karina Alonso, missionaries with sister mission FAM International. This team will focus on Bible and English lessons for the orphaned and abandoned, and will support a church plant in Zipaquira, a northern suburb of Bogotá. The foundation on which Camino Global stands today was established only because God's hand and favor were on the people who were obedient to His call in reaching Central America. With tremendous personal sacrifice and a pioneering heart, our founding missionaries established a fruitful work that continues to thrive today. Built on a solid bedrock foundation of Biblical truth, the Central American Mission, CAM, and now Camino Global, has been laboring among Spanish speakers for 125 years in response to the Great Commission. With the Lord's leading, we have faithfully broadened our horizons and our borders expanding into other countries and establishing strategic ministries in passionate pursuite of growing God's Kingdom. We look forward to what God has in store for Camino, and our partners, as we journey together with Spanish speakers to transform the world.